Moringa oleifera, also called horseradish tree or miracle tree, is believed to be a healing plant. Roots, leaves, flowers and bark are all used in medical lore in case of disorders of digestive and immune systems. Not so long ago, moringa seeds began to be imported to Europe as it turned out that an oil can be extracted from the plant. Now, moringa oil is used in various areas of life ranging from mechanics, cultivation, fuel industry to production of cosmetics and food industry. The product contains lots of ingredients which are beneficial to our health i.e. : fatty acids (oleic, palmitic, stearic, arachidic and linolic), vitamins (A, E, C) and minerals (potassium, iron, manganese, chromium and boron). 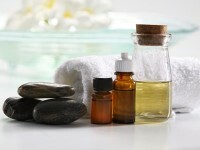 These are the substances which are responsible for proper condition of body skin and hair. 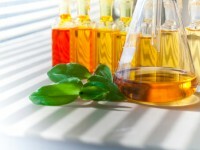 What are the properties of moringa oil? It is widely used as an ecological antioxidant. For this reason, it's an ingredient of cosmetics which deeply moisturize, smooth wrinkles, lighten discolored skin, restore epidermis and prevent pre-mature skin ageing processes. Moringa oil cleanses face skin perfectly, removes excess sebum and leftovers of make-up, alleviates symptoms of acne and prevents blackheads. 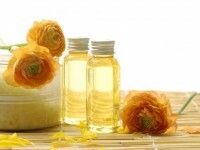 It is antibacterial, soothing and anti-inflammatory. It can be used for massage and aromatherapy. 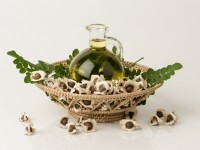 Moringa oil is becoming more and more popular in hair and scalp care. Many women, who value health and good looks, are satisfied with its effects. The cosmetic can be added to a mask or applied directly to hair. Apply a few drops of the oil to washed and damp hair and let it dry. As a result, brushing and drying is easier and more pleasurable. It's much easier to style hair and arrange even most unruly strands. 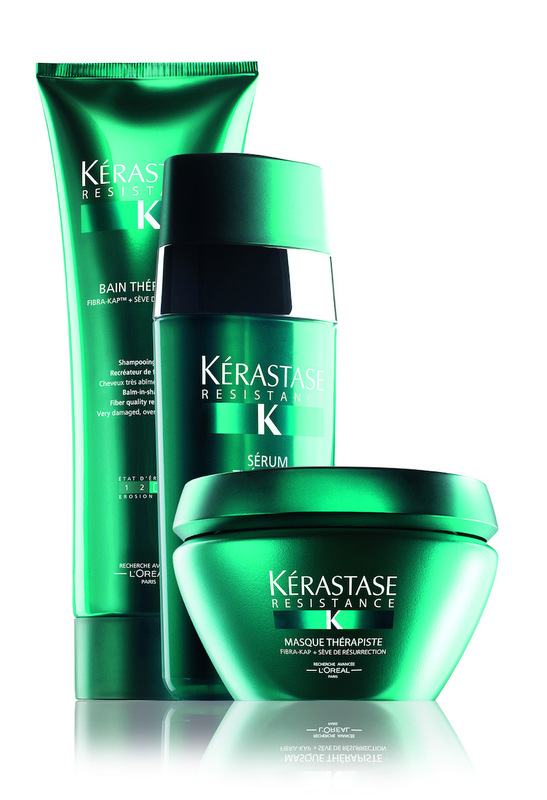 What's more, moringa oil smooths, moisturizes and makes hair shiny. Strands become soft, they're not weighed down or sticky. Application is easy and quick; moringa oil penetrates into deepest layers of hair and hair bulbs thereby gives instant effect. Besides, the cosmetic is washed away with a delicate shampoo. It will also be perfect for washing hair using Condition-Wash-Condition method.